Why Buy from Checkered Flag Porsche? Everything you expect from Porsche and more if that is possible. This is my second Porsche car. 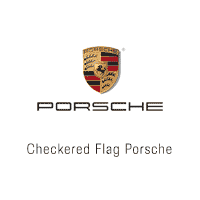 I highly recommend Ron Terpilowski, Phillipe Liedl, and Checkered Flag Porsche in Virginia Beach. Phillipe helped me to maintain my car, and Ron provided a great service while I looked for a car. Thank you, guys! Pleasent sales persom (Barry), good communication by the sales mgr prior to visit, a no-hassle experience. Barry was the best! They make it so easy. I live a long way from Virginia Beach, so they offered to meet me halfway. Everyone I've encountered through the purchase and service processes has been knowledgeable, polite, and efficient. I got a great price on exactly the car and options I wanted. Barry Cate, is extremely knowledgeable on the Porsche brand, he provided excellent customer service, there was never any pressure and the transaction was seamless. He made a point to cover the vehicles features in detail, ensuring familiarity prior to driving off.